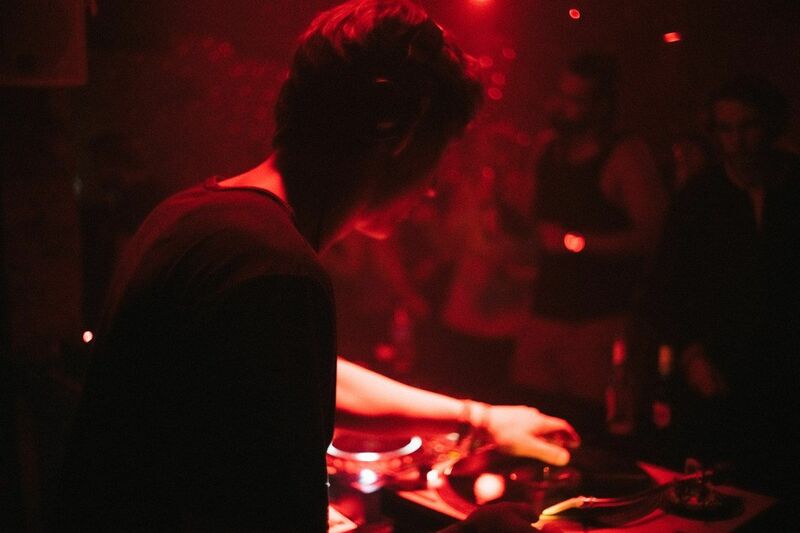 Beat & Greet is a quick set of questions revolving around some of our favourite artist’s music and lives, after our first edition with Mattia Pompeo, we scour the depths of Berlin to bring you Zodya. Zodya has been organising events and spinning records in Europe and beyond for a couple of years now. Born in Moscow he was inspired by the first rave experiences at ARMA17, but was properly introduced to DJing and club culture only after he moved to Germany in 2012. Musically Zodya fluctuates between many different genres with a focus on dance-floor oriented sounds. Throwing underground raves and club events with friends in multiple European cities has fueled his passion for a DIY approach and his love for records. In the past years besides co-founding underground techno event series IstrobeI in Konstanz, he became a music coordinator and resident at Love Foundation Berlin and played for various collectives in Netherlands and in Germany. He’s made appearances at some of the sickest spots like Mensch Meier, Humboldthain, Loftus Hall, Sisyphos, Kantine, Herr Walter, Performance Bar, Contrast. Here’s an exclusive mix from Zodya, this is a rather special 90 minute story that we absolutely fell in love with, it has this incredible depth and speaks volumes about his musical repertoire and taste. To make things even better, that’s the sound of the sweet vinyl hiss and crack in the background, as this mix is a short glimpse of his record collection! What does your typical day look like ? I lead a project oriented lifestyle, so I don’t really have typical days or many routines. When I wake up, I do some yoga, shower, read or watch news during breakfast. Then I go to work, make calls, have meetings, listen to music at home or go digging to a record shop. Sometimes there is time for lunch, sometimes there is none. In the afternoons and evenings I either have more work related meetings or cook, hang out with friends and play records. If you could have produced any record in the world, which one would it be ? This is a hard question, especially because I am not really creating new music.. I would have loved to be there in the late eighties, early-nineties, when house, techno and electronica were so new, groundbreaking and the first anthems were produced. When I think of my home country and the beginnings of electronic dance music there, I directly think of the track by The New Composers – Sputnik of Life. It is not the most well produced and well-mixed track – it is raw, imperfect and relatively simple, but at the same time groovy, dreamy and futuristic. Somehow I just love this imperfection, the old-school “dont really know what I am doing” flair that you hear a lot in the early nineties records. I have a feeling that there was much less norms and preconceptions back then, that people were really creating something new and to me this vibe and feeling translates in the music. Did you in the past or currently do anything else other than music ? Yes, I studied a lot in the past years. Right now I am teaching German, organising cultural events with Love Foundation and other projects in Berlin, reading a lot and educating myself in different ways. What is your DJ setup ? What will electronic music be like in the year 2050 according to you ?